grill | EASY AS PIE! Yum! I forgot how much I love anything chili-lime flavored. It is intense and so delicious. In a small bowl combine everything except the shrimp. Set aside about half of the butter mixture for serving. Thread shrimp onto skewers (my favorite! 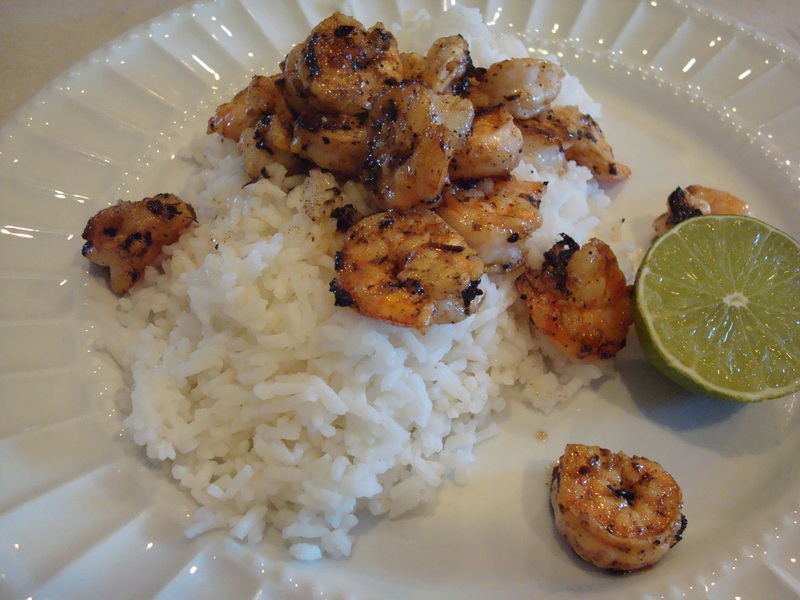 ), brush with butter sauce, and grill over medium heat for 3-5 minutes on each side or until shrimp turn opaque pink. Baste occasionally with butter mixture. Remove skewers from the grill and serve over hot rice with the reserved butter.